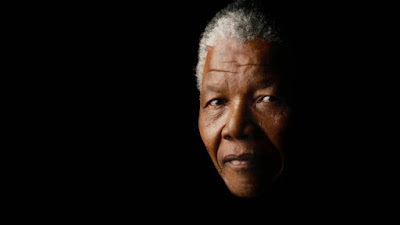 As the world marks Nelson Mandela International Day, Nobel Prize winner, Prof. Wole Soyinka; United Nations (UN) and other notable Nigerians have extolled Mandela’s virtues, insisting that his indelible legacies and values must be imbibed and sustained. At a lecture to commemorate the centenary of Mandela held at the Nigerian Institute of International Affairs (NIIA) in Lagos yesterday, Soyinka, who was the guest lecturer, described Mandela as a humble and unpretentious man whose life is worthy of emulation. He also shared how reading Mandela’s book, A Long Walk to Freedom, inspired him to love eating egg and bacon. In a similar vein, Director, United Nations Information Centre (UNIC), Mr. Ronald Kayanja, said “Today, the United Nations joins the Mandela Foundation in calling on people around the world to make a difference in their communities to bring about enduring change. “As the United Nations sets out to implement the 2030 agenda for sustainable development, let us seek to continue building on Nelson Mandela’s legacy of selflessness and deep sense of shared purpose. Similarly, a Lagos State University (LASU) lecturer, Prof Modupeolu Faseke, described Mandela as a visionary leader, voracious reader and fearless fighter whose virtues such as humility, selflessness and discipline must be emulated. Meanwhile, Consul General of South Africa in Lagos, Mr. Darkey Africa, who spoke about xenophobia in South Africa, stated that the South African government is doing everything possible to ensure peace, unity and harmony between the two countries.